Many times when we are approached by a client that is subleasing space we are amazed at how often these transactions have critical mistakes relating to some of the most basic issues surrounding the sublease process. A sublease is created by a lease from the sublandlord to the subtenant of a lesser interest than that held by the sublandlord under the original lease. By this very definition, it has to be something less than an assignment. In a sublease, there is absolutely no relationship between the original landlord and the subtenant. The only relationship that exists is between the sublandlord and the subtenant. This means that the subtenant has to look to its sublandlord for all issues and has to make sure that the sublandlord does not default under the main lease. Otherwise, the subtenant will lose all interests in the property. The sublandlord is the party responsible for payments of rent to the landlord and compliance with all other lease terms, and it remains so until the termination of the original lease. An assignment of a lease, on the other hand, is created by the transfer of the existing tenant’s entire interest in the lease to a new party. After an assignment, the original tenant has no possessory interest left in the property, and generally has no other rights left under the lease. Notwithstanding, the original tenant may not be automatically released of the financial obligations under the lease, unless the landlord expressly either releases the original tenant or the lease document itself provides for an automatic release. In an assignment, the assignee of the lease and the original landlord do have a direct contractual relationship and will deal with each other directly for the balance of the lease term. 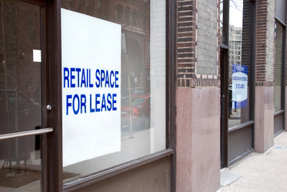 One of the most common mistakes we see is a sublease for the balance of the term of the original lease. This is a legal impossibility, as in order for a sublease to exist, the grant has to be for something less than the entirety of the sublandlord’s interest in the lease. By granting possession for the entire remaining balance of the term, the parties have in essence created an assignment, when intending to create a sublease. This could have negative consequences for all parties, so it is critical to properly draft these documents and properly structure the transaction. Our other South Florida real estate attorneys and I have a great deal of experience in the drafting and creation of subleases and assignments. We write regularly in this blog about important legal and business issues affecting the commercial real estate industry in Florida, and we encourage industry followers to submit their email address in the subscription box at the top right of the blog in order to automatically receive all of our future articles.